The Autarkhome house boat truly brings passive living to the high seas. 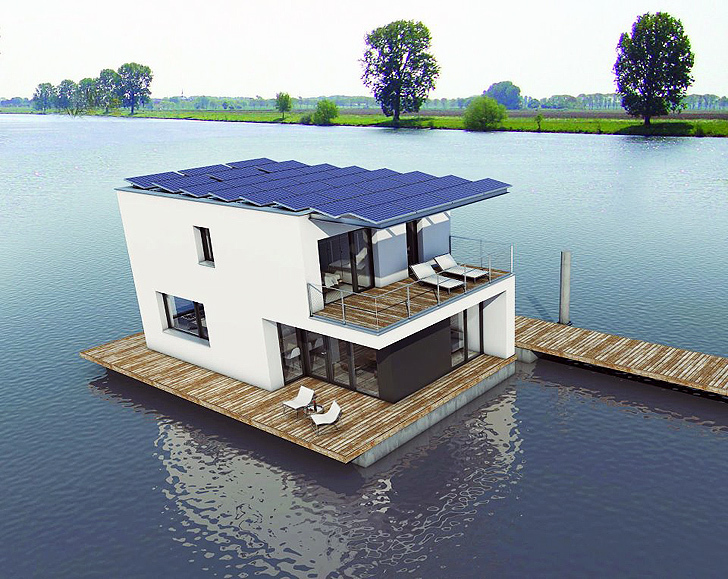 The Maastricht, Netherlands docked house is an entirely self-sufficient, off the grid floating home! Designed by Pieter Kromwikj to meet Passivhaus standards, the home is powered by a solar array that spans the roof. The two story Autarkhome has everything a family needs. The IKEA-clad interior is large enough to host a six guest dinner party, a sprawling kitchen, two large bedrooms and a double-sink bathroom. The top floor boasts a large balcony, while the first floor opens to a large sundeck “yard”. The roof top solar array produces enough energy to power the house, which is ten times more energy efficient than homes of the same size. The house has its own built-in water treatment system, taking in water from the waters it moves through and processes it for residential use. Autarkhome is heated by solar hot water collectors and a heat recovery ventilation system, and is glad will large glass curtains throughout to maximize natural lighting. Not to mention the beautiful views that can be had on the whim of the residents! With the benefits of being off the grid, and able to move house to wherever your heart desires, Kromwiki plans to mass produce Autarkhome for eco-wanderers the world over. Passivehaus boats could be popping up in lakes and rivers near you! Wondering when this will be available in the US. Is it possible to purchase plans to construct ? Is this available in the US yet? this is wonderful, wonderful... we are looking to living in houseboat and this is selfsuffient! is the Autarkhome available in the united states? The two story Autarkhome has everything a family needs. 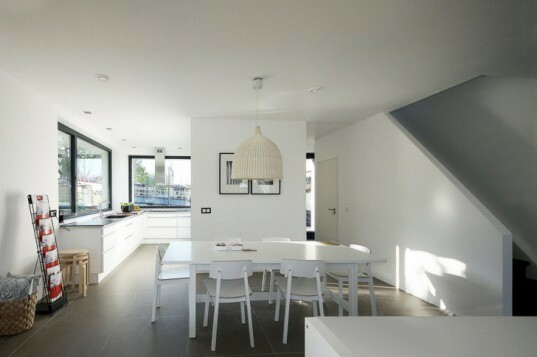 The IKEA-clad interior is large enough to host a six guest dinner party, a sprawling kitchen, two large bedrooms and a double-sink bathroom. The top floor boasts a large balcony, while the first floor opens to a large sundeck “yard”. The roof top solar array produces enough energy to power the house, which is ten times more energy efficient than homes of the same size. The house has its own built-in water treatment system, taking in water from the waters it moves through and processes it for residential use.